This thread was marked as Locked by Alvoria. Due to significant changes in RoW this mod is no longer compatible nor preferred. Please download the latest version of RoW to get such features built-in with better compatibility. I'm still leaving the project site up just in case someone wants to try to cobble together an old build, but I don't recommend it. 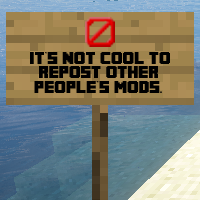 All the basic stuff of mods applies here. Back-up your world, crashes may occur, I'll help you debug something if you provide a report, yadda yadda. What's most important is the version of ROW you are using. If your're using RoW-1.7.10-15.01.18-0 you'll need to use a version prior to 7. Newer versions are based on my branch of ROW and are incompatible with older branches. If you have a different version you might be okay, or you might break your world. Removing ROWAM will restore your world, should it break this way. The signal block is the heart of the ROWAM. This block allows you to control the throttle of any locomotive through its GUI. Loco selector box. If left blank, the signal block will attempt to control any loco that passes it. Otherwise, the signal block only controls locos whose side text matches the text in the box. Chers can have text affixed; it's just not visible. The throttle value to set the loco to if it's going faster than box 2. Any loco with their throttle under this value will have their throttle set to the value in box 5. The throttle value to set the loco to if it's going slower than box 4. The throttle values in boxes 2 and 4 are based on speed, and ignore the direction the loco is traveling. This means that a loco with its throttle set to 50 in forwards is the same as one set to 50 in reverse. This allows you to run trains forwards and backwards on a line without multiple signal blocks. The throttle set values in boxes 3 and 5 are based on the current direction of the loco. A loco going backwards will always have its throttle set to the appropriate speed in reverse, while a loco going forward will always have its throttle set to the appropriate speed in forward. If you want to change the direction of the locomotive, just put in a negative sign. It is very possible to create a looping signal block if you set your values incorrectly. If your train starts shuddering, it's a good bet you have a bad signal setting. If the signal block is the heart of the ROWAM, the pointer block is the brain. Again, all options are set using its GUI. Loco selector box. If left blank the pointer won't switch locos in regular mode. Otherwise, the pointer block only controls locos whose side text matches the text in the box. Chers can have text affixed; it's just not visible. Any loco that has a label matching box 1 will be switched in this direction. If the pointer block is in spring mode, this controls the set position of the spring. Main line will always be the route that's straight through the switch, while siding is the branch line. Controls the switching behavior of non-matching locos. Non-matching locos can be set to go in the opposite direction of matching locos, or just be ignored. This allows for 'locked' switches that only let certain lines through. Enables redstone mode. In this mode, the pointer block switches any nearby pointers based on the redstone signal it receives. Enables spring mode. In this mode the switch will keep itself locked in the position set in box 2, even if a loco runs through it. The station block allows for the creation of stops along your rail route. It stops trains, applies brakes, loads entities, schedules departures, and will even blow a train's whistle when it arrives or departs. If holding a loco, it will output a redstone signal through a comparator. Like the previous blocks, all settings are in the GUI. The buttons on the top of the GUI switch between loco and freight settings, with the loco settings dealing with station events, and the freight settings dealing with entity loading and unloading. If left blank, the station block will attempt to stop any loco with a throttle of 0 that passes it. Otherwise, the sation block will only stop a loco with a throttle of 0 whose side text matches the text in the box. Chers can have text affixed; it's just not visible. Changes the event that will launch a stopped loco. If the station is in time delay mode, it will launch the loco after a specific number of ticks has passed. If set to scheduled mode, it will launch the loco at a specific time. 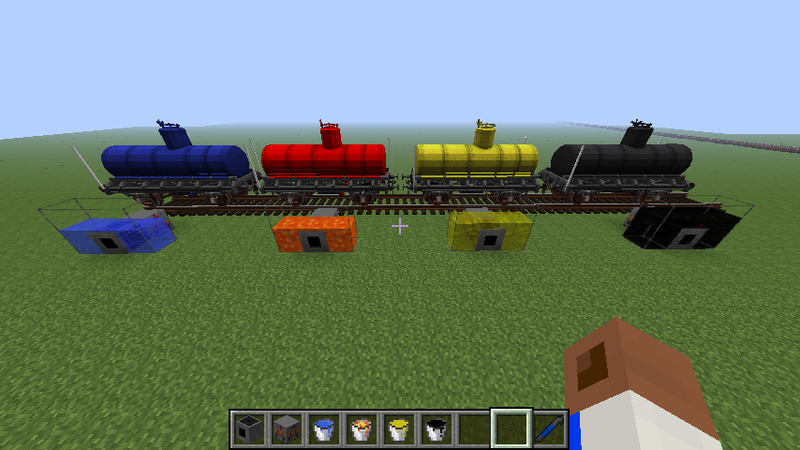 If set to redstone mode, the station block will launch a loco when it receives a redstone signal. If the station is in time delay mode, this box is the number of ticks (1/20th of a second) to wait before launching the held loco. If the station is in scheduled mode this is the time (standard Minecraft time and format) at which to launch the held loco. What to set the departing loco's throttle to. Negative values make the loco depart in reverse. When to sound a loco's whistle. This can be during arrival, departure, both, or neither. Pitch and volume of the whistle. A higher volume extends the range of the whistle, but does not make it louder. Entity to load into train just prior to leaving the station. Stock to load entity into. The entity must be near the stock prior to departure for them to be loaded. Side to load the entity from. 'Both' loads from both the left and right sides of the stock. 'Left' and 'Right' are determined by the direction the loco that is stopped is facing. Entity to unload from the train. This happens when the train is stopped by the station block during arrival. Stock to unload entities from. Side to unload the entity to. 'Left' and 'Right' are determined by the direction the loco that is stopped by the station block is facing. Note that entities must match the entity selector and be near the loading point of a cart during departure to be loaded. This can be a bit of a problem if your animals or villagers tend to crowd around each other. The tank block puts your tank carts to use for you, allowing them to hold liquids. Placing a tank block next to any forge-compatible tank block will transfer the tank's fluid into nearby tank cars. Right-clicking the tank block will toggle it from drain to fill mode. If provided with a redstone signal, the tank block will stop working. Additionally, any tank block that's currently filling or draining a tank cart will output a redstone signal. To make sure you don't put lava in your water tank cart and end up hauling obsidian, the tank block assigns the id of the liquid to an empty tank cart before use. If an empty tank cart is being filled for the first time it will have its color set to reflect its contents (or grey if the color of the liquid is not defined). Changing a tank cart's color with a dye will not affect the liquid loading capabilities. Currently, only water, lava, oil, and fuel are recognized colored liquids; other colors can be added to the code if desired. The fueling block allows you to keep your trains running during long hauls by refueling any nearby locomotives and tenders. It pulls coal from an adjacent chest, and outputs a redstone signal while it's fueling. It will only fuel a locomotive to its max fuel value, after which it stops outputting redstone. Because of this it can be used in conjunction with a signal block and station block to create automatic refueling points on your railway. Formerly used as the bogie block, the freight block is used exclusively with my version of ROW to allow you to automatically load and unload cargo from the Cher's tub to any chest-based tile entity. This, coupled with a few fueling stations, will finally allow you to automate your mining railway. 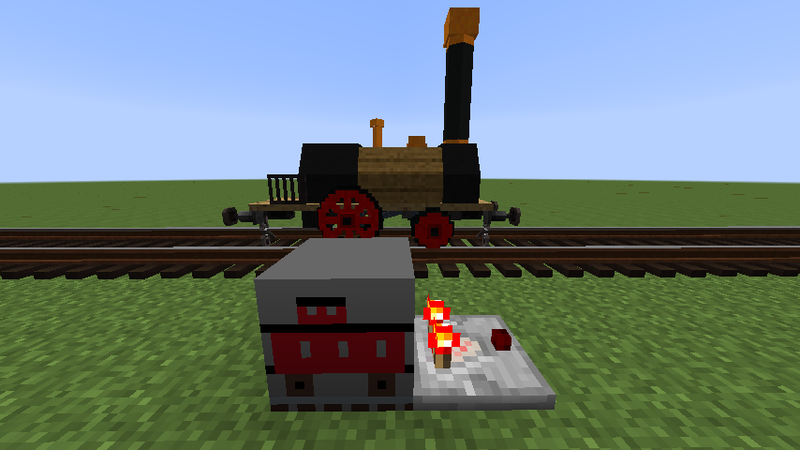 The detector block is appropriately named, as it outputs a redstone signal when a locomotive or cart is nearby. While it doesn't do anything spectacular, you can combine this function with pointer blocks to switch carts or with other mods to create a locomotive detection network. ROWAM has the unique ability to chunkload all ROW stock and ROWAM blocks. This is used to ensure proper operation of automatic railways and signals. All stock is only loaded in its own chunk to help keep the server load down. New block out by popular demand! If y'all have any other fluids you want added to the tank cart let me know. It's easy for me to put them in. Also, if you're using Optifine with Simple Fluid Tanks make sure to turn off multi-core rendering mode, as it can cause crashes. I'm planing to add normal Buildcraft tanks to the tank-compatibility list, but for now you can just pipe your fluids into a tiny SFT tank for use with the tank block. The tank block puts your tank carts to use for you, allowing them to hold liquids. Putting a tank block in drain mode next to a valve from the Simple Fluid Tanks mod will transfer the tank's fluid into nearby tank cars. Right-clicking the tank block will cause it to change its mode to fill mode [due to a glitch the texture of the block may not update correctly until an event happens nearby, e.g. placing a grass block]. To make sure you don't put lava in your water tank cart and end up hauling obsidian, the tank block assigns each new tank cart a color which reflects its contents. Any newly-placed tank cart that's about to accept a liquid will have its color changed to reflect that liquid, and from then on it will only work with that liquid. Changing a tank cart's color with a dye will cause it to work that type of liquid, permitting re-use of carts. Currently, only water, lava, oil, and fuel are compatible with the tank block, due to the limited static NBT data of the tank carts. Wow! The tank block is an amazing addition! Thanks! I guess I need to start tailoring the additions to the more profitable Freight sector instead of the declining Transportation industry. Sigh, such is progress... Hopefully people will make more suggestions, as I'm not too familiar with Buildcraft and it's relatives. I'm curious if anyone has had done any timetables on their ROW maps with my mod. I started making a route on your Jernbane line in preparation for a video demonstration, but my current computer just won't cut it (I get 5 FPS in the sawmill with 3 trains). I did manage to get a morning freight route running from the sawmill to the lake station and a dual-engine logging route from the sawmill to the logging site, which looks pretty cool. I've got to say though, it feels kind of odd waiting for a train in Minecraft. By the way, did the commands ever start working for you? I'm really not a fan of adding dependencies, but until I figure out GUI's NBTEdit's going to have to stay. But waiting for trains is minecraft is so much fun. When I type /nbtedit it says unknown command. Is NBTEdit its own mod? It's definitely fun standing at the station waiting for the 6:00 freight to pass me by, and waiting for the logger that left at 5:00 AM to return by itself at 6:00 PM. The odd part is just the waiting in general. I'm so used to flying about and cranking the reverse to full throttle that I kinda forget to slow down and smell the poppies. As far as NBTEdit goes, yes it's a separate mod. I went and put the link in the OP, as it's buried a bit in the NBTEdit forums. I've got to say, I'm impressed! I own a few LEGO train sets myself, including the Metroliner, Emerald Night, and a bunch of locos and stock from the extensive sets they put out a while back, but I've never made my own. I'm more of the take a set and change it type of guy, hence my turning the NASA space shuttle into an airplane. As far as modeling goes, I'd be happy to incorporate some better textures. My skill at pixel art isn't the best. I'm not sure about making them into models per-se, partially because I've never worked with them (I could never get Techne to work for me), and partially because I expect most users to hide them so they don't have signal blocks and such littering the railway. 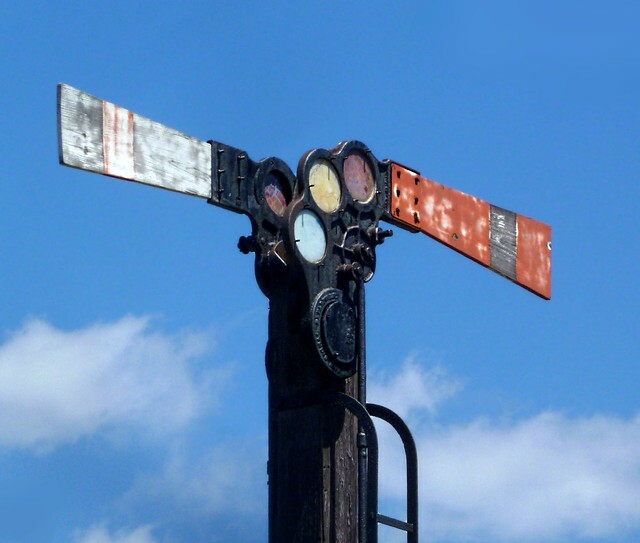 On the other hand, a good-looking signal block could be mounted on a pole to really spruce up the railway line. If you modeled the signal block like the ones they have in Europe, and made the arm movable through a hook in the render code, I could also make it so the arm sets itself based on the block's reverse setting. It just depends on how far you want to go with it really. Also, it's update time again. This gif should be self-explanatory. Hmmm. I'm not sure how I'd represent the station block or pointer block. But for the signal block would something like this be possible? Since the signal arms are flat they should be easy to render, though the lights might be a challenge. I'm planning on changing the signal block's methods in the future to have it act differently on slow and fast trains, versus just setting speed bounds. This would make one signal able to control trains leaving and arriving to a station instead of the current clumsy dual-block method. I don't know how rotative points work, but if the arm was set up to rotate round the central shaft I think I could add a hook in the render code to move the arm based on the reverse setting. If you were to make both light and dark lights, with the light ones slightly in front of the dark ones, I could use that same hook coupled with the reverse settings to change the light's colors based on whether on not it's a fast or slow signal. The only thing I don't know is how to tell it which way to face, but that'll be an issue for any signal model. The only other thing that would be good is some sort of train indicator, like a railroad crossing signal or a gate. Another one of my planned additions is to make a block that gives off a redstone signal when a train is nearby, which could be coupled to a railway signal to make a mock train crossing. That one is probably easier to do, as the crossing signal wouldn't involve rotative points. Alright- Is this just like a normal semaphore? Or is there a specific type you'd like to see? Just as well, I'll do the arm separate from the pole so it can be manipulated to rotate around whatever point axis you deem as good. I can do a crossing type thingy, though to match ROW more accurately I may go for a more european approach to this, rather than a classic style cross buck- If Naiten implements American trains at some point (wink wink) I can update the model then. Additionally, I was thinking of an oil filler spout type object for the fluid filler, though to do this with an unloading area would be complex- unless, of course, you have the ability to implement something that can clip into the rails the car would sit on. I'm not sure if lights on the semaphore are going to be possible, even less so easy... Colored light in MC is something that doesn't really work out, and getting a point emitter of this light (if it could be projected) would be even more difficult... Isn't that the advantage of a position arm signal? You don't need lights to have it operate in the first place? Let me know- I'll get a jump on the crossing signs and report back when those are finished... (please note, this may take up to a few weeks, as exam season is upon us, and I'm drowning in schoolwork already). I agree with the European style, that's sort of why I chose the semaphore; it fits the Eastern vibe more. I don't really have any particular type in mind, but the rotating arm is something that I hope I can implement. As far as lights were concerned, I wasn't thinking of lights per-se, but the ability to enable and disable part of the model from rendering. My thought was to render a small bright green circle just in front of a dark green one, and then skip the rendering of the bright green circle to turn the light 'off'. Since it shares the same rotative point, it will stay in front of the 'off' portion of the signal no matter the rotation of the semaphore arm. Again, I'm not too familiar with the rendering routine for models, so I don't know if the model can be set up this way or not. For the crossing model, you can kind of have a free hand with that. I'm thinking about adding in a bell sound that will ring when the crossing signal gets powered by redstone, which might influence your design. The signal itself won't detect trains, by the way; that's for a separate block. I just think having a crossing signal would really kick the realism value up a notch. The spout version sounds good for the tank block. At the moment the tank block can only do tank-to-tank_cart transfers, but if I get more experienced with modding I might see about changing it to do pipe-to-tank_cart types. I think it requires changing the block to implement itself as a fluid container or something. Either way it's kind of unwieldy right now, so a spout would definitely be an improvement. The only modeling request I have for it is for the model to have differing texture/render based on whether on not it's filling or draining. At least that way someone can put a 'filler' above the track and a 'drainer' below without it looking funny. As far as clipping onto the track goes, I have no idea how to do that. Don't know it it'll be that big of a deal, though, as it's going to be surrounded by a bunch of other blocks below the track itself. Is there anyway to automate fueling yet? This is a cool mod, but I have a problem. When I get a locomotive moving using the signal block, when it comes across another signal block, pointer block or station block the locomotive immediately stops with the wheels still turning slowly. This happens when I'm driving the locomotive and it happens with the rolling stock too. I've set up the locolabel for every block for the locomotive. Am I setting this up wrong? If so, can you please post a guide on how to actually set this up? Disregard, I fixed the problem. I had the blocks too close to the tracks and the trains were hitting the block. 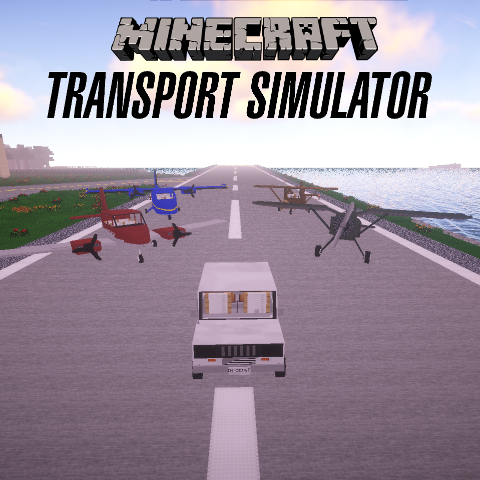 Unfortunately the trains do not load chunks, which means you'll need a chunkloaders on your line if you want your train to run unattended. This isn't the huge performance hit you might think it is; I lose more FPS from rendering a Yer than I do keeping 50+ chunks loaded. If you're looking for a chunkloading system I recommend Chickenbones's ChickenChunks for several reasons. First, the chunkloaders can be set to load in a straight line, making straightaways crazy easy. Second, the chunkloaders include lazers to let you know what you have loaded, and if you install NEI pressing F9 will bring up a matrix like grid that separates chunks for you, making it easy to see what you need to keep loaded. Keep in mind that only the middle block of a rail needs to be loaded for a train to operate on it. Finally, when I get the train detector block out you can hook up the output to a series of chunkloaders and turn them on and off when trains are present, reducing the system load. Automated fueling is definitely something I'll implement. Can't send your trains on a long journey without fuel stops! Of course a smart cookie could stop their Ov under a series of coal-filled droppers using a station block. That won't help the short freight line hauled by the Yer, though. Right now I'm trying to get some of the redstone functionality done. I've got the tank block wired so it'll stop transferring liquid if powered, and will output a signal through a comparator if the tank it's transferring to is full. Once I get the station block hooked to redstone, it'll enable factories to hold locomotives for filling and send them off when full. Added in the 1.5 update. See the video on the main ROW page. can you add a lokomotive detector ? That's next on my to-do list. I thought about integrating it into the signal block, but then you'd have to worry about setting it to not act on locos. Also, it wouldn't output signals on regular stock, which might be a problem for trains going in reverse. can you create a vidio tutorial for this mod ? That's a lot lower on my to-do list. Partially because the mod's not as clean as I want it. I'm hoping to learn how to work with GUI's, which would allow me to remove the NBTEdit mod and make this mod a lot simpler. I also rather dislike making videos, which is odd considering I make Electrical Age tutorials. I probably should make one, though, as the signal block is kind of confusing right now. Is there another chunkloader I could use? ChickenChunks causes my game to randomly crash. My second choice for chunkloaders would have to be the Dimensional Anchors mod. This one comes from Immibis's mods, and includes a chunk mapping system similar to the one NEI gives you. If that doesn't work you could try Railcraft's chunkloaders. I'm not a huge fan of Railcraft, though, as it tends to break things of mine and requires you to get an account to use their new wiki page. I do seem to recall reading somewhere that ChickenChunks has a 100% not buggy guarantee. On the other hand, Mr. Chickenbone's mods seems keen to cause random chunks to not load in my superflat worlds. I saw your crash report on the forum page; is there any reason you are running Minecraft from a folder on your desktop? I don't know much about how Minecraft handles file references, but I do know that it usually stays in the appdata folder. I'd almost suspect it's the odd folder location that's giving you troubles, rather than ChickenChunks. I saw your crash report on the forum page; is there any reason you are running Minecraft from a folder on your desktop? I don't know much about how Minecraft handles file references, but I do know that it usually stays in the appdata folder. I'd almost suspect it's the odd folder location that's giving you troubles, rather than ChickenChunks. That isn't my main Minecraft folder. I have this particular Minecraft on my desktop because I want to run a game with just Rails of War and other mods I could use with it using Magic Launcher. I use this method on all the modded Minecraft games I have rather than using the main Minecraft folder as I find it easier than having all the mods in one game where some are incompatible with one another or uses a older version of Minecraft. I'll try and run Rails of War and ChickenChunks on my main Minecraft folder by themselves and see what happens. It's a small one, but I figure you guys'd want this so I thought I'd better get it out while I work on the GUIs. The detector block detects nearby locomotives and rolling stock. Download link is on the OP.